A restaurant business is one of the most profitable businesses in these times of Extreme Transformations & higher competition. A hundred percent profit margin is at least a secure earning. And if you’re a civilian of Vancouver or Surrey region, you can have a look at the list of restaurant available for acquisition. Why should you choose a restaurant business? A restaurant business requires one-time large capital investment while the return-of-profit will come as long as you wish to pursue it. Quality of food delivered along with a customer-oriented approach can help you earn comparatively high profit-scales. Capture the delights desired by the surrounding populace, serve it on the platter & you can easily let them spend in your favor. A restaurant doesn’t only require a cook to make mouth-watering & delicious dishes but a business mind as well to play with the trend of Food Industry. Therefore, if you think you have that potential business mind, a restaurant business would serve well. Franchise business is profitable in any part of the world. Especially in Vancouver and Surrey, there are a number of franchisee stores that are available for sale. If you wish to own a profit making top brand franchisee, view some of the latest listings of business for sale in the region. Franchise stores run on the name of top brands in the market. 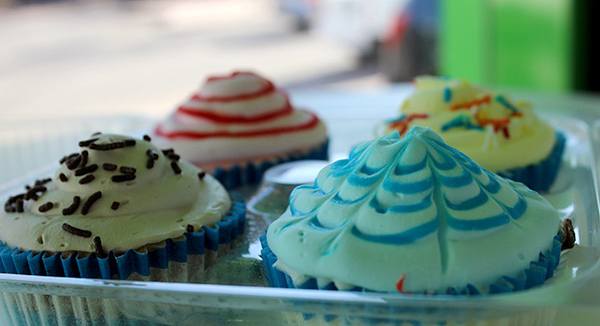 Established brands in the market easily capture a niche area and sell products or services like hot cakes. These brands already have the trust and goodwill of the people in the market. A franchise store owner does not need to start from the scratch when it comes to promoting or marketing a brand name. Therefore, it is always a great idea to buy a top brand franchise store that is recognized in the market and has a lot of potential. Franchise Sandwich Shop is available for purchase at $272,000.00 in Surrey, BC. Its proximity to various schools and offices in the region makes it an easy drop-by for many. It is located in central Surrey inside busy Boardwalk mall. 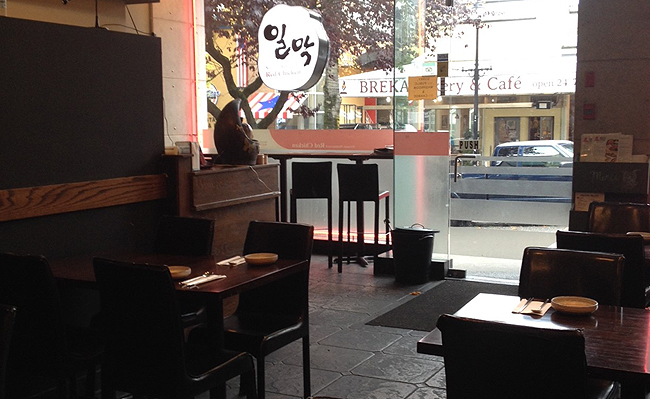 This is among the many similar franchise eateries in and around Surrey. They make for a good investment in the restaurant market. Similarly, there is a Burnaby Franchise Ice-cream shop for sale at $143,000.00. It is located in one of the largest outdoor shopping centers in Metro Vancouver and has been a real crowd puller. It is a good income generator in the area and a profit making opportunity that investors or businessmen just can’t miss! Get in touch with a business broker or consultancy firm in Vancouver to provide you insight stories and more on similar business for sale in Vancouver, Surrey, Burnaby or other adjoining regions. Stay alert and get hold of the best business opportunity in the region. Selling or buying business can be quite a tedious task. Without professional assistance or advice, it can become an anxious decision at the end of the day. It is advisable to have an experienced business expert or consultant in close quarters to aid you in making the right decision and profitable too. A business broker is an experienced business consultant who is knowledgeable with respect to the market and has worked with different businesses and under different scenarios. They have the expertise and understanding to help businesses identify the best business to invest in. If you are looking to buy a business or looking for a potential buyer for your business, it is best to hire a business broker first. A business consultant has adequate knowledge and is well-connected in the market. They provide the right guidance to the potential business buyers and investors and let them discover the best business opportunities or the best price to sell one’s business. Business brokers work with a diverse group of business owners and proprietors to identify potential in a business or a buyer. They also review business information and conduct proper research on a business or a buyer. Why Should You Hire Business Brokers in BC? While looking for buying a business, a buyer should always consider employing the services of an experienced business broker. The more experienced and skilled the broker is, the more effective the process will be. The broker will be backing on behalf of the client. Business brokers in BC with actual experience to operate their businesses provide the valuable services to their clients. Most of the sellers think that their business is worth more than it is in reality. A business broker uses the valuation expertise and makes sure that you are not overpaying while owning a business. Skilled brokers will provide a valuation on the potential of a business opportunity. While searching for the right business opportunity, you need time and effort. It is like an enormous amount of personal commitment. The majority of people run short of time to do the thing effectively. A lack of time may lead you to carelessness. While making one of the biggest decisions of your life, there is no room for carelessness. Approaching business brokers in BC can be fruitful as they offer you a number of available business options which you may not find on your own. The successful brokers have a great database for buyers to select from. It improves negotiation and leverage which help business buyers to find the exact opportunities that he is interested in. A business buyer can be more inclined to decide on a less-than-perfect-business without a broker. When you seek assistance of a business broker, he ensures to break down the actual investment needed, encompassing cash flow, upgrades and permits. The total ‘buying price’ is often extremely higher than the ‘actual sale price’ of the business. So, if you are looking for owning an already established business, always consider taking counsel of business brokers in BC. So you have decided to go about your own business. Being your own boss is a wonderful feeling. But there are many responsibilities that come along. How about buying an existing business for sale in BC? If the idea excites you, here are some of the opportunities that you may consider. Let us have a look at business opportunities all across Canada. 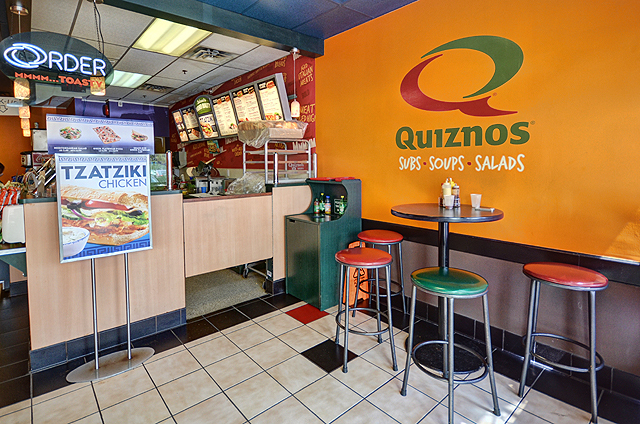 This wonderful opportunity comes as Franchise Sandwich Shop in Surrey, BC, Canada. It is a top sandwich brand franchise store for sale. Lying in central Surrey inside busy Boardwalk Mall, the store finds excellent exposure. It experiences high traffic from nearby establishments which means the chances of making money are on higher side. This already existed business opportunity is spread in around 920 sq ft area and houses the 16-seat dining area, kitchen, working counter, back kitchen and 2 bathrooms. If you are a diet conscious person and wish to make people aware of the same, there is an exciting business for sale in BC. The opportunity is based in Vancouver. It comes as Organic Health Food Business with active store accounts in both Canada and the United States. It needs dedicated operational as well as manufacturing support to make the most of a dynamic food category. The sales are registered as 4.2 Billion dollars in North America. The company also markets natural products which are good tasting too. Generally, we get so busy while earning that we lack of time to relax. How about relaxing while earning? You may be wondering if there is any opportunity that can offer the same. The opportunity to relax comes along with Spa & Yoga Studio in Great Vancouver area in B.C. Indulge in a relaxing environment with this business that provides spa services including facial treatments, massages and medical treatments. So, you are among those who wish to run a business but hesitate to start one? If yes then consider selecting a business for sale in Burnaby. Well, the idea may work for you if you aspire to be a business-owner. Here are few opportunities under 300 K that might interest you. If you like technology then LG Electronic Appliances Store in Chilliwack can be your choice. It is always easy to deal with the products having a brand name. LG refurbished products need no introduction. Who does not like fast return on investment? If it is your dream, you can chase it with this excellent business opportunity. As a buyer, you will receive a supplier contract that will ease you off with the constant supply of LG refurbished products in store. Many of us have inclination towards home decor products. If you possess the same interest, you can find a business opportunity that comes as Granite and Stone Products Company in Richmond, BC. You can be a business partner and help in promoting the company. As an already established business, various business benefits come along like year-round projects, well-connected network and constant job orders. So, you want to do something different? Not to worry, there are another exciting opportunities for business for sale in Richmond,BC. Look around and you may find an interesting option like Wholesale & Retail Fish and Seafood Company in Steveston Village in Richmond BC. The company is located in high traffic area that receives more and more tourists. It deals into live and processed seafood including frozen fish, oysters, lobsters, processed shellfish, crabs and Canadian Salmon gift packs. Find many other exciting business opportunities with Philip Hui & Associates. The reputed business mergers and acquisition experts help you find the right business opportunity where you can live your passion and become a business owner too. Leave the worries behind of establishing a new start-up and gaining clients. Hundreds of business opportunities for sale are waiting for you! The Canadian life science and biotech sector continue to show determination and resiliency even though, like other sectors of the Canadian economy, it has faced significant challenges as a result of the global economic slowdown. Nevertheless, the fundamentals remain strong. According to the business respondents to Canadian Life Sciences Industry Forecast 2013, they are seeking in excess of CAD1 billion of capital and there is a strong view that governments need to help stimulate capital formation. 41% of respondents are moderately to extremely confident about the industry’s long term outlook. The industry must remain at the leading edge of innovation, but it won’t happen in isolation. Canada has made progress in securing important building blocks for a growing bio-economy. The need for coordinated actions from all parties remains. 58% of respondents have indicated that the most challenging factor for their organizations over the next 2 years will be the raising of capital. Attracting a licensing or strategic partner has become an even more important issue. The top-rated critical success factor for the industry continues to be access to capital. Tax incentives that encourage investment by providers of capital is also critical. By working together, industry and governments can set in place a competitive market framework that will attract investment and allow the Canadian life sciences industry to play a significant role in the long-term health and prosperity of Canadians. Philip Hui & Associates specializes in all aspects of the sale, merger, acquisition and valuation of businesses in British Columbia, Canada. Looking to buy a biotech company in Canada, check out www.buysellbusinessinbc.com for more details.